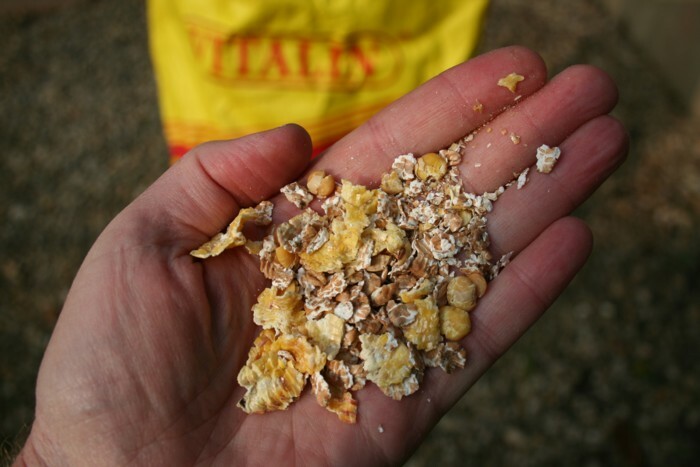 Vitalin as we know is a great basic ingredient for the method mix. 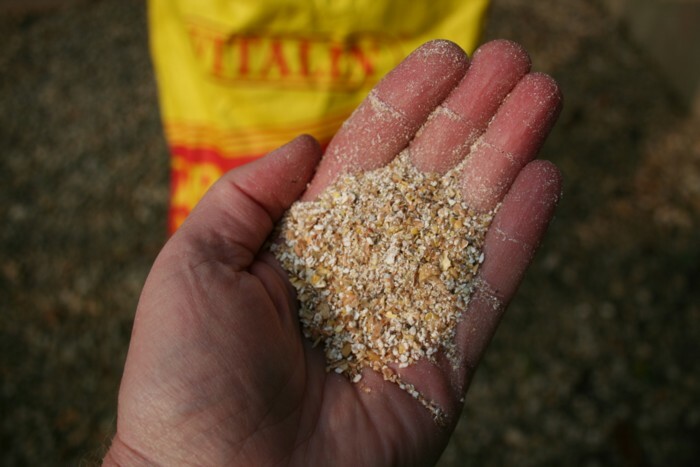 I’ve got plans to use this on Horseshoe this year as the basic mix but add some molasses and other bits and pieces, mainly maggots corn and of course casters. The problem that people have is that it is time consuming doing it in a blender reducing the particle size. Well there is an easier way. Archie a fellow Tench Fisher was saying last year he used a leaf vacuum to do the grinding. We were fishing Bradley’s at the time in the Cotswold Water Park. Now when Archie says something it is worth listening. As an aside he caught the most tench on the fish-in. He also designed and made his own bobbins which were brilliant, well done Archie you should market them. However this little gem of info was stored away for this season. As you may know Horseshoe has masses of silk type weed on the bottom in the early season. 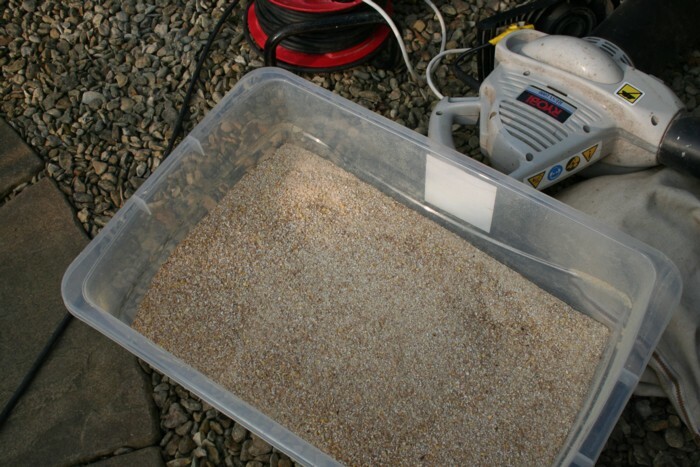 The normal Drennan bolt swim feeder rig doesn’t sit well on the bottom in this type of weed.. The heli rig would be better, but I needed a better presentation than this. 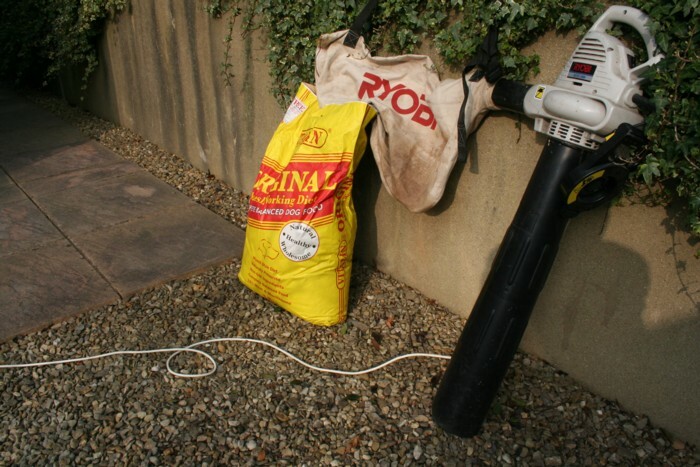 Anyhow the method Archie gave was that you use a leaf vacuum with a collection bag (important this!) to collect the reduced sized particles that come from the shreading part of the vacuum. 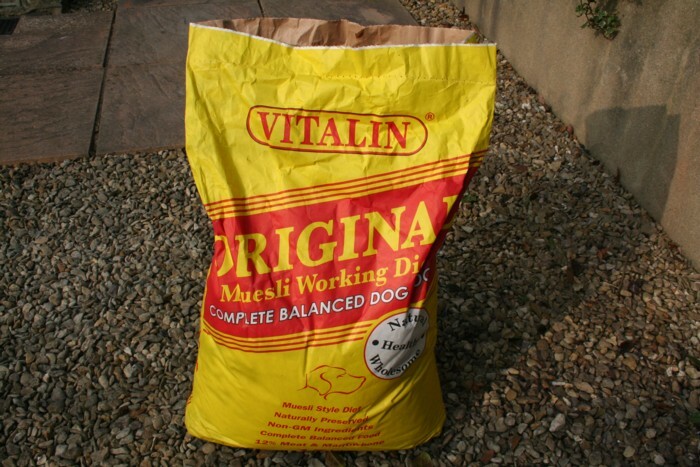 So with 15kg of the mix to reduce I thought I wonder how long would it take. How about 5 minutes of sucking and the job is finished. (no comments please). You need to empty the bag a few times to allow for refills. I know it doesn’t sound right does it! What can I say! Read as you want. The resultant pulverised particles still have one or two larger pieces, however it does look very good. There are one or two larger particles which may feed the fish so I need to perhaps think about this. Possibly a double pass through the vacuum may just do the job. So with the business completed the bag was emptied 4 times and the mix was put into a sealed container so that it would be protected from any pests. This entry was posted on Sunday, April 3rd, 2011 at 4:48 pm	and is filed under Uncategorized. You can follow any responses to this entry through the RSS 2.0 feed. Both comments and pings are currently closed.